Let me express my felicitations to you on your election as the Chairman of the Second Committee during the 66th Session of the United Nations General Assembly. I am confident that your proven leadership skills and rich academic background will lead the work of the Second Committee successfully. I also would like to extend congratulations to all newly elected members of the Bureau.Â I take this opportunity to express our thanks to your predecessor, Her Excellency Ms. Enkhsetseg Ochir, Ambassador and Permanent Representative of Mongolia for her excellent leadership during the sixty-fifth General Assembly of the UN. I associate my support to the statement delivered by the Representative of Argentina to the United Nations on behalf of the G-77 and China. I would also like to affiliate myself with statements delivered by the delegations of Nepal on behalf of LDCs and Paraguay on behalf of LLDCs. The second committee commences its deliberation at a critical juncture, as it is tasked with addressing a number of pressing global challenges such as: environmental degradation, the on-going financial crisis, food insecurity, hunger, and poverty in developing countries. The second committee must continue to work together to tackle these challenges, which seriously threaten the well-being of hundreds of thousands of people all over the world. The Government of Afghanistan is of the firm belief that such challenges can only be eliminated through effective cooperation among all stakeholders. Overcoming our challenges also requires a resolute commitment on the part of both developed and developing countries for increased cooperation. In that regard, Afghanistan underscores the need for continued international support in the form of financial and technical assistance for developing countries. The issues related to the on-going financial and economic crisis have an enormous impact on the development agendas of developing and particularly the least developed countries, and therefore, deserve to be addressed with serious attention. Before 2001, Afghanistan was cut off and isolated from the international community by the brutal Taliban regime, which denied Afghan people even the most fundamental human rights and allowed terrorists to use Afghan soil to launch attacks around the world. 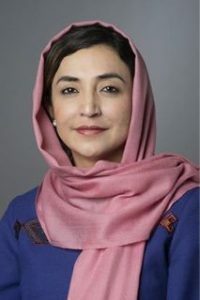 In 2001, with the overthrow of the Taliban regime, Afghanistan slowly began to rebuild its shattered political, economic and social structures, and regained its rightful place in the community of nations.Â Afghanistan has made enormous strides in the past decade, emerging from the ruins of war to build a more functioning government, a more prosperous economy, and a more healthy society. However, the complex issue of security and threats of terrorism remain as major impediments for the Government to implement its development policies. Therefore, the Government of Afghanistan remains convinced that issues related to security and their impact on the development of post conflict countries should be given due consideration by the Second Committee. 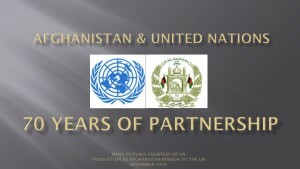 In 2004, Afghanistan was able to join the rest of the international community in committing to a series of time-bound development goals. Because we were late in joining the MDGs, our targets were set to be achieved by 2020.Â Therefore, we emphasize that the situation of those countries that are behind in achieving our MDGs should be duly considered by the Second Committee. Afghanistan strongly believes that United Nations can play a crucial role in helping developing countries and particularly LDCs, including those countries emerging from conflict, in achieving their MDGs. As more than 80% of Afghans depend on agricultural production for their livelihoods, we stress that matters related to agricultural development and food security continue to be a significant focus for the work of the Second Committee. The challenge of climate change affects all countries equally – Â poor, rich, small or big – and therefore, requires genuine cooperation among all countries. In this regard, my delegation strongly supports the stand of the G 77 and China that the UNFCCC (UN Framework Convention on Climate Change) and the Kyoto Protocol should remain the central multilateral framework for cooperative action to address climate change issues. In conclusion, my delegation is firmly convinced that your wisdom and effective leadership of our Committee will go a long way in helping us achieve important progress on the issues under our consideration. And I assure you of my delegation’s full support and cooperation!